For some reason this theme of Jude’s especially tickled my fancy, so I’ll be overposting occupied benches. 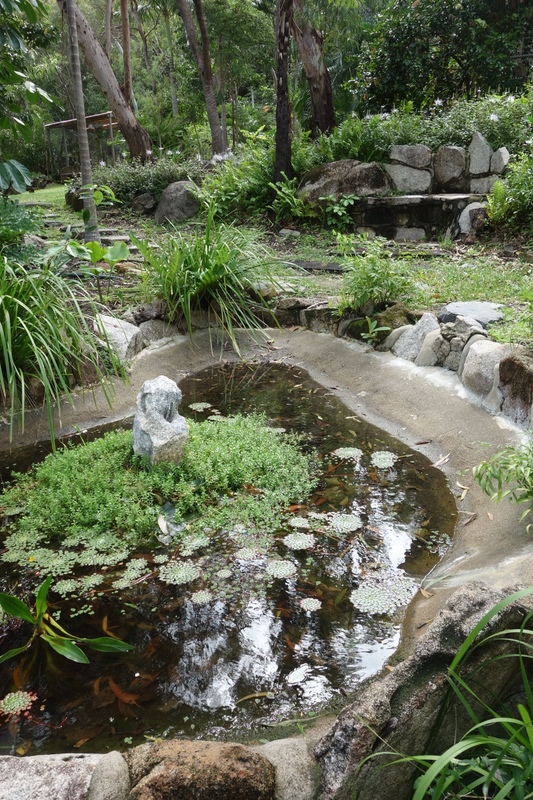 On the road trip north to my Stanthorpe daughter’s place in June, we did the unimaginable and stayed in a motel. We were both still a bit jet-lagged after our return from Warsaw and decided camping on a short day wasn’t an option. 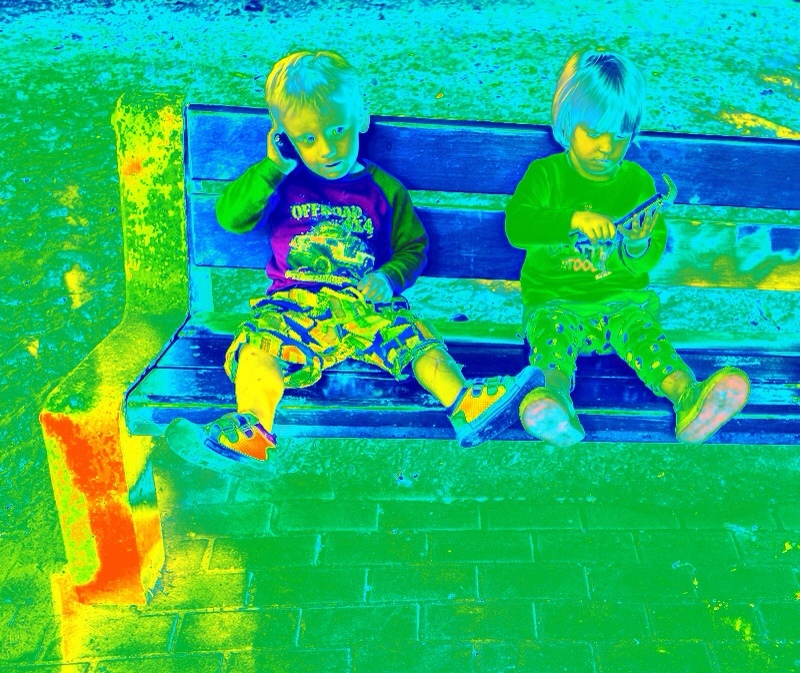 After a gruelling drive through Dubbo at school’s-out time, we were ready to call it a day. 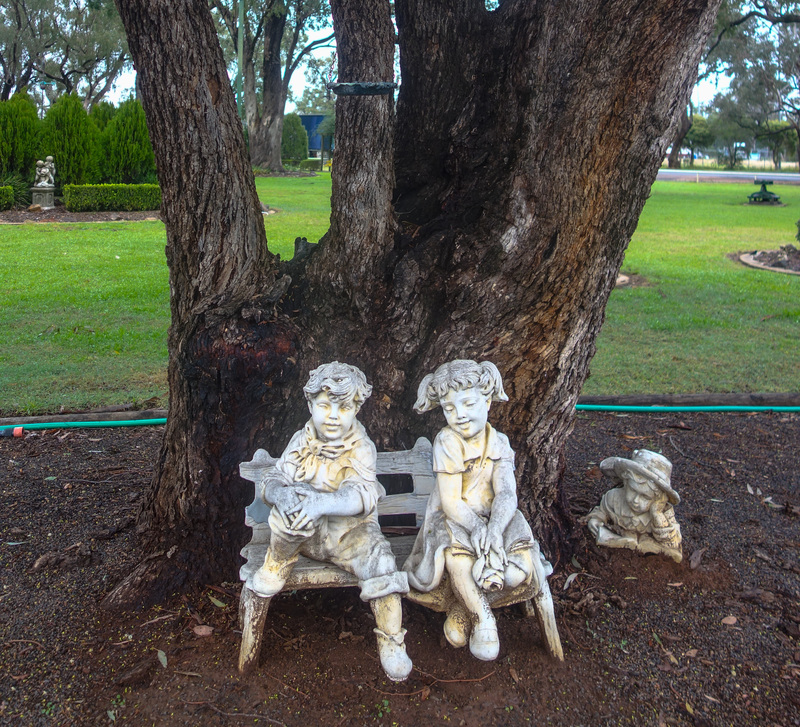 The Cooee Motel in Gilgandra caught our attention: beautifully set back from the road, on parkland with huge eucalypts and benches and gazebos and statues, it rivalled some of our more spectacular bush campsites. 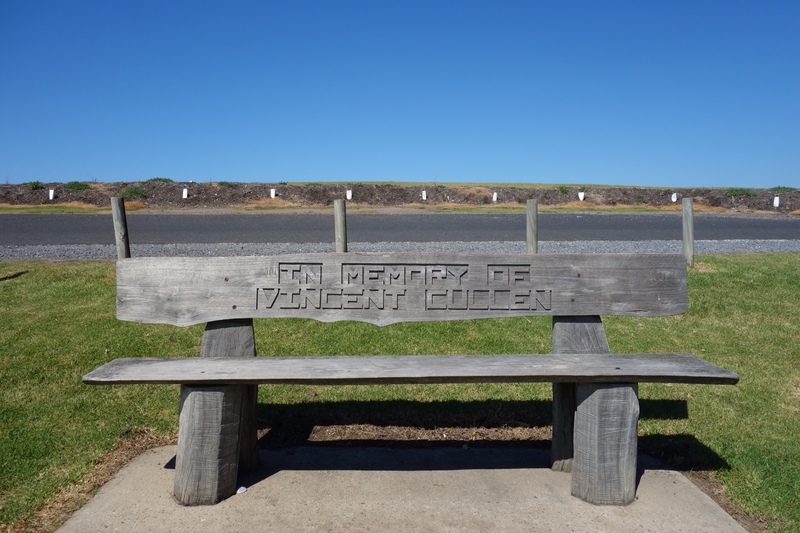 Its name was a reminder of my year spent researching World War 1: a famous recruiting drive in 1915, the cooee march, began in Gilgandra and gathered volunteers who wanted to enlist as the procession moved to Sydney, 440 kilometres away. 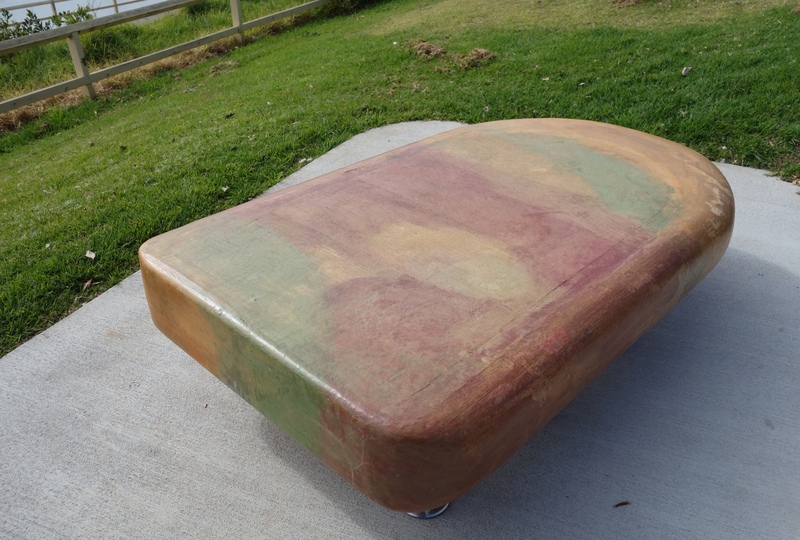 So we spent a relaxed night in a motel, and discovered an occupied bench as well. In Warsaw in spring I fell in love. 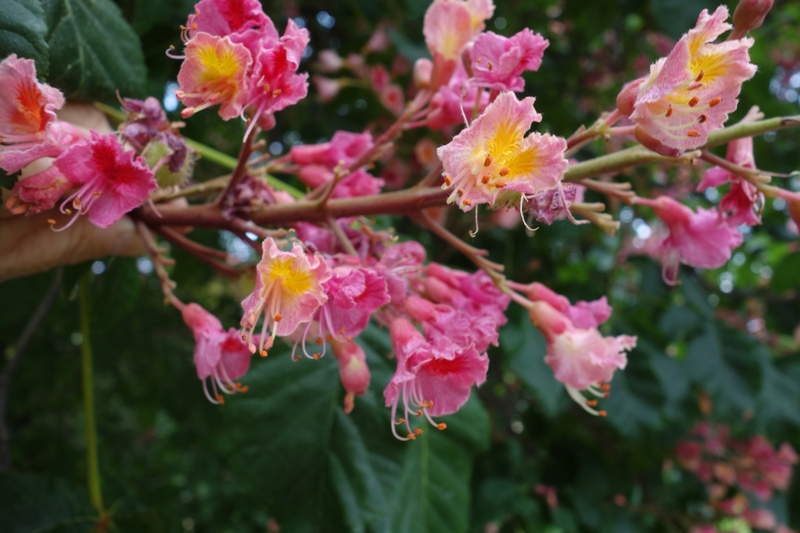 The object of my new romance was botanical: the spectacularly flowering horse chestnuts. 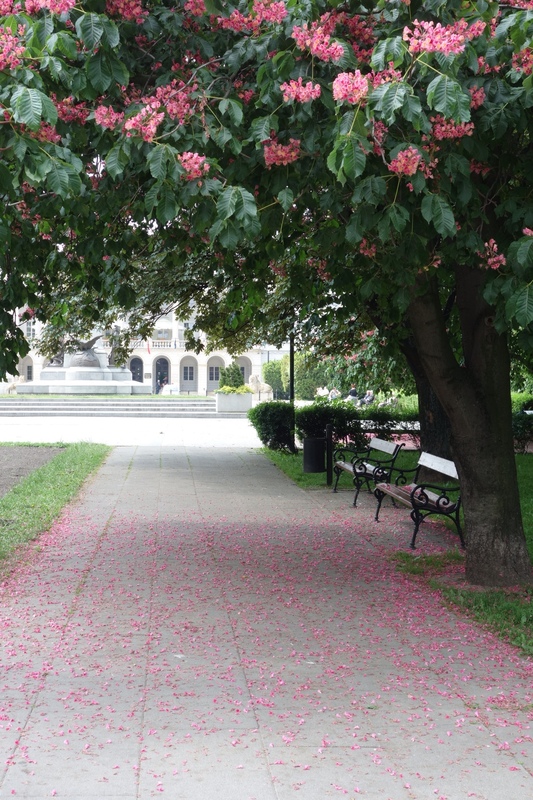 On a Sunday stroll near Plać Bankowy and a statue of Tadeusz Kosćiusko, I found falling blossoms on a bench and knew that my springtime affair was fading. This post is linked to Jude’s bench series. I scheduled this in Warsaw in June for Jude's bench series October theme, because by then, three holidays away, I will have completely forgotten I have it. 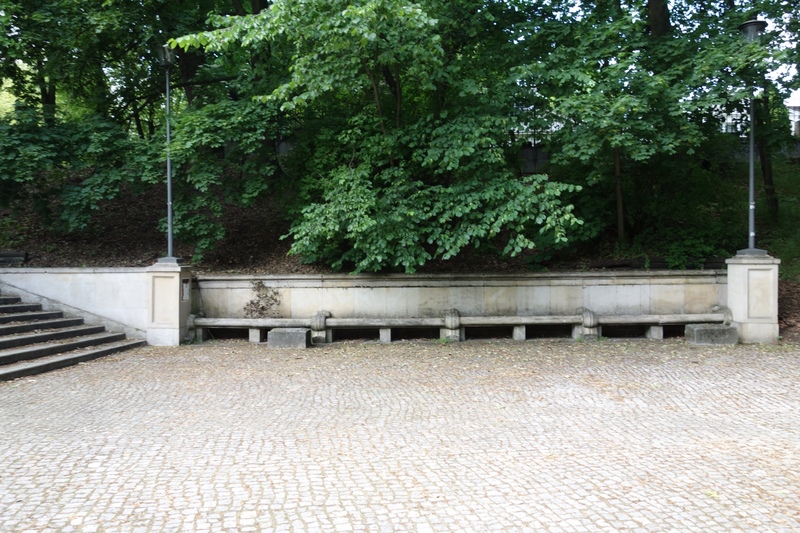 It's a somewhat neglected stone bench in Warsaw parklands, just near a fountain in a spacious square, and an avenue leading down to the river. 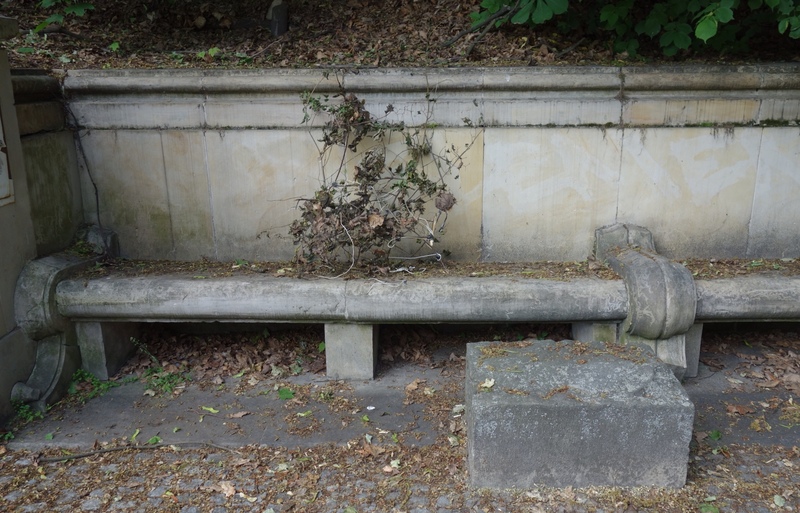 The hollows of the bench have collected dead leaves and a dead branch sits bound with wire at one end. For a total contrast, have a look at these two bench sitters, not yet three, talking avidly on mobile phones in the park, and post-processed to preserve their anonymity. 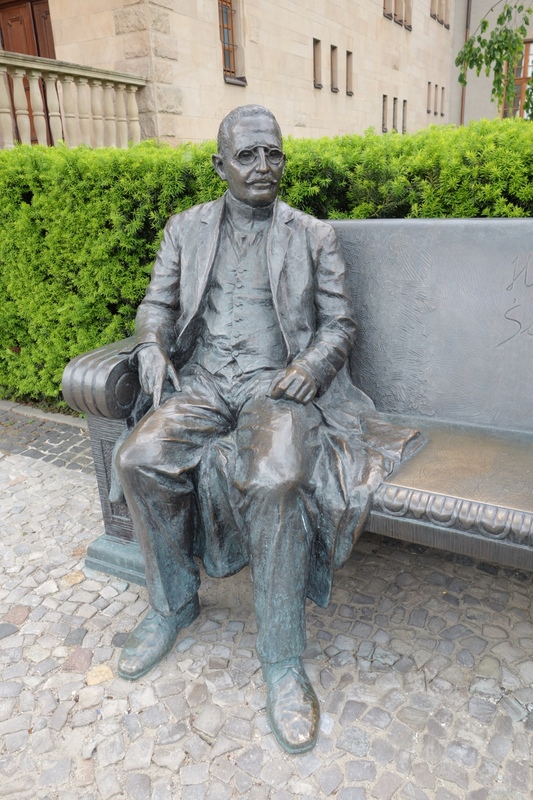 The dignified man sitting on the bench outside University A. Mickiewicz in Poznań, Poland, is Professor Heliodor Święcicki (1854 – 1923): gynecologist, social worker, philanthropist, founder and first rector of the university. 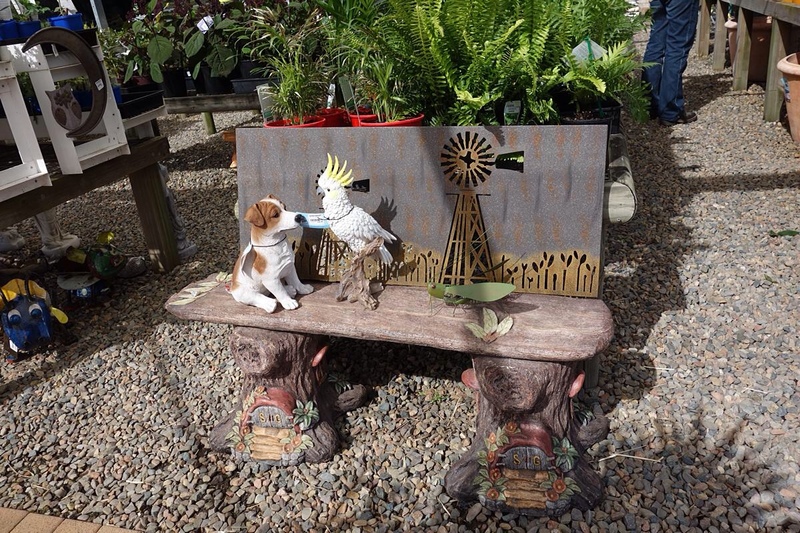 I never visit garden centres, but on Saturday we were looking for chilli plants and this bench was irresistible, even if it is a bit of a mongrel. 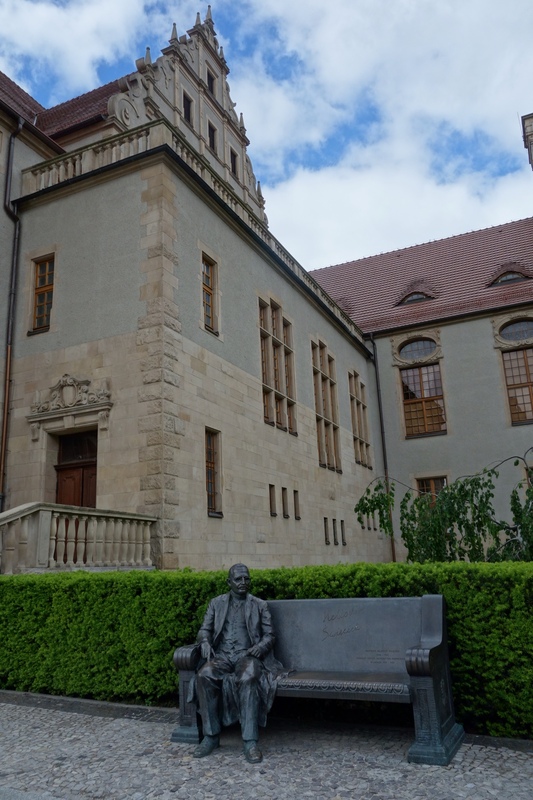 If you enjoy sitting down in many places on a variety of benches, there is an exhibition of possibilities in Jude's part of the blogosphere. A monster's been unleashed, and an undocumented one at that, with this post-processing caper. I decided to try many effects and filters using Lunapic and see what emerged. I can no longer remember what I used to achieve what image – although some are obvious: Warhol and Obama effects; grunge, emboss and black&white filters. 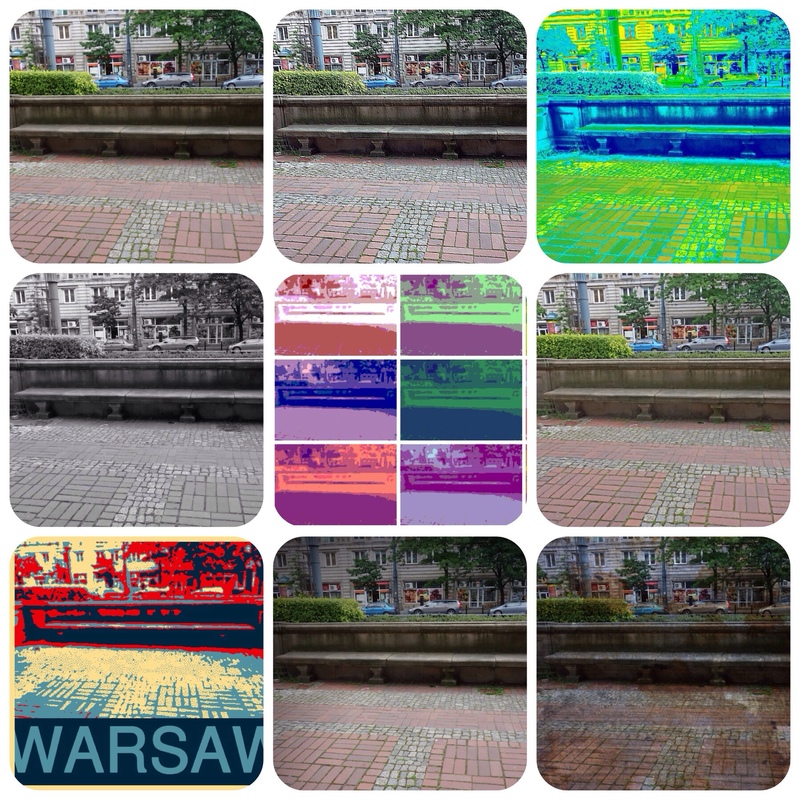 All I know for nearly certain is that the original photo is the first one, and that grunge is not a bad filter for some parts of Warsaw. For far more accomplished, and sometimes quite stunning, post-processing, have a look at HeyJude's bench series collection for June. 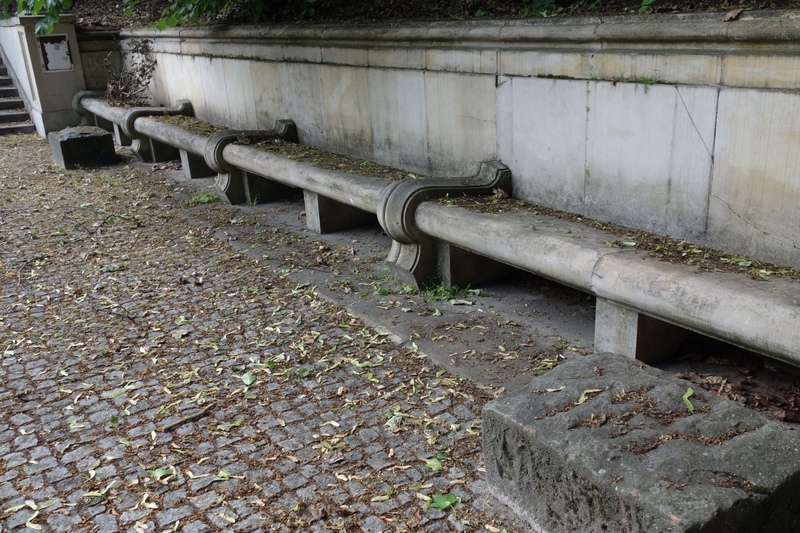 As my Polish grandson would say (in two-year-old's English) “Anudder one wooden bench”. 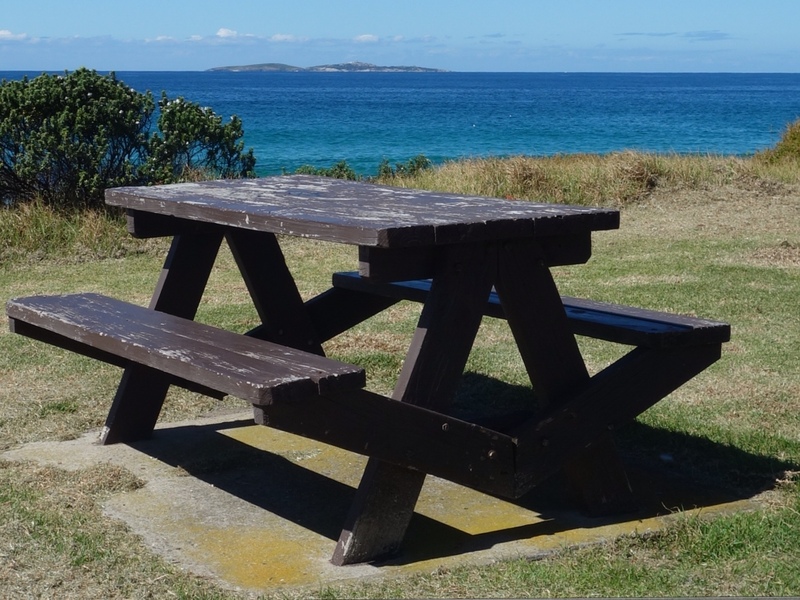 OK, I know I swore off bench challenge, but this one confronted me as I approached the stairs down to Carters Beach near Narooma. 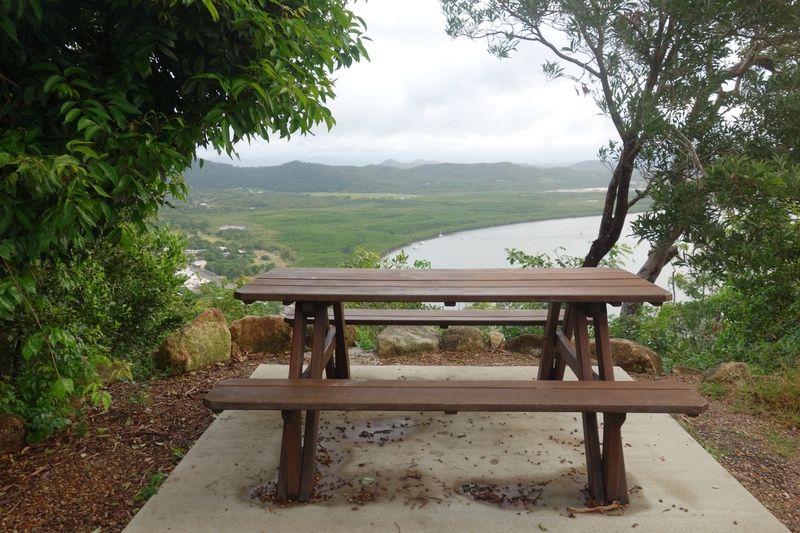 So for two days in a row I'm joining in Heyjude's bench challenge, this time with a wooden memorial bench with a spectacular view. Behind the bench is a new planting on the denuded headland, and in front of it a view over blue sea and rolling waves to the north. I don't often participate in challenges. I have enough obsessions to overcome, without adding another one. 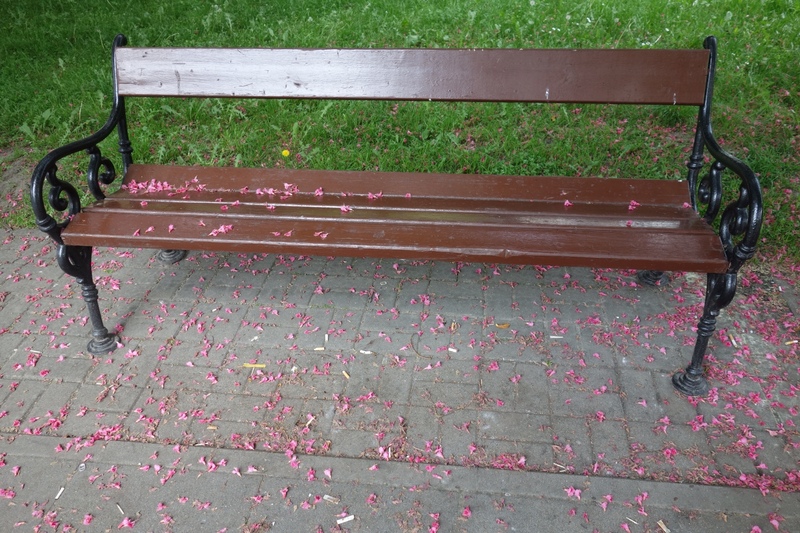 But when I saw this bench, at the end of March (wooden benches) and on the cusp of April (benches with a view) I decided I had no choice. 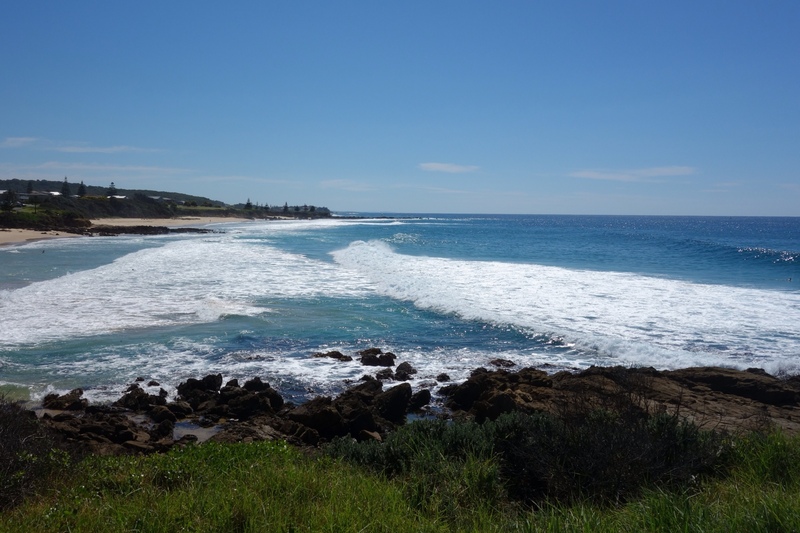 It's perched on a headland on the south end of Dalmeny Beach in southern NSW, looking out over mown grass and coastal rosemary to Baranguba, a lighthouse island 7 kilometres away where there are colonies of seals and penguins and breeding grounds for shearwaters, seagulls and terns.